A cappella Publisher Desc. 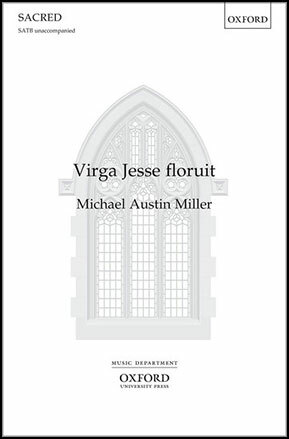 Setting a well-known Latin text from the Liber Usualis, Michael Austin Miller combines expressive harmony and flowing polyphony to create a gentle and touching anthem. 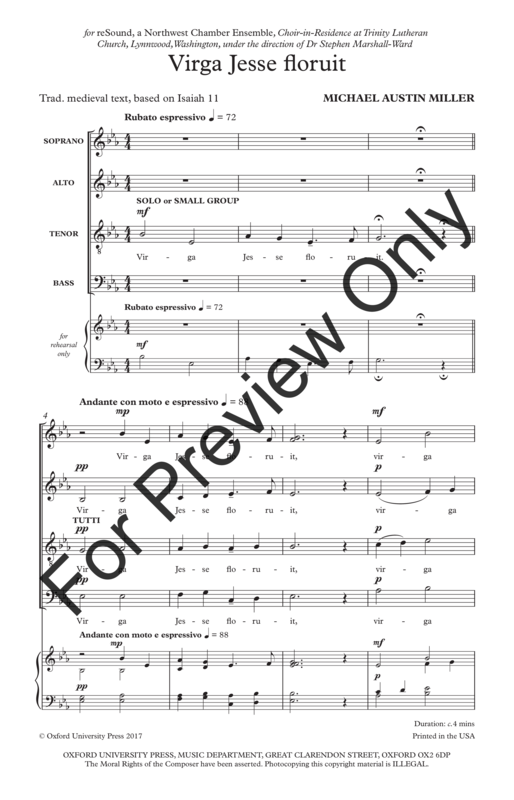 The opening and closing sections develop the chant-like opening motif, enclosing an 'Alleluia' section comprising joyously interweaving lines.